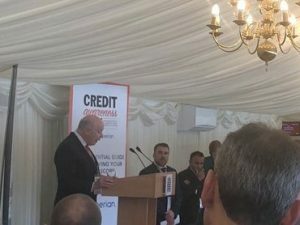 Yesterday, I had the pleasure of addressing many MPs, political figures, the FCA and industry colleagues at the Credit Week Parliamentary Reception. As Chief Executive of the CCTA, representing over 200 businesses, including lenders, brokers, debt purchasers and suppliers to the industry, my message was about the proportionality of credit regulation. The regulator has a balance to strike between maintaining deep and fluid credit flows on the one hand, and appropriate levels of protection for consumers on the other. It is a difficult balance to strike, but it’s essential for serving the consumer’s interests. Get it wrong in one direction, and you restrict legal supply and cause financial exclusion. Get it wrong in the other, and you can encourage irresponsible lending. The FCA recognises the importance of keeping legal credit flowing. After all, without access to regulated sources of credit, there isn’t any consumer protection at all. 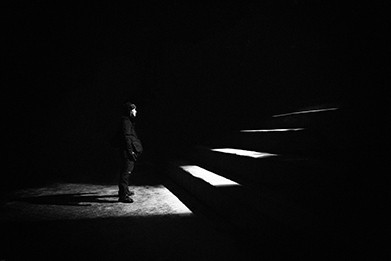 Yet the sheer volume of regulation in the last 5 years, coupled with a spike in claims activity, are causing more businesses to exit the market. In parallel, the FCA’s own figures show a sharp rise in the number of consumers borrowing from ‘friends and family’ and illegal lenders. A key factor, in our view, is the FCA’s new rules on ‘affordability’. Tighter affordability rules mean many lenders are having to stop lending to certain groups of consumers. This includes customers on lower incomes with the fewest choices. But the tighter the restrictions, the higher up the socio-economic scale the cut-off goes. As a result, larger numbers of borrowers risk becoming excluded because, according to the regulator, they cannot afford to borrow. But many consumers are in situations where they cannot afford not to borrow, because the costs they would otherwise incur are higher than the cost of their borrowing. CCTA members don’t want to shirk regulation or responsibility. They want to do the right thing and work in partnership with the regulator and the debt charities in the consumer interest. But regulation needs to be proportionate. Otherwise we risk doing more harm to the consumer than good. My message at yesterday’s Parliamentary Reception was clear. We need balanced and proportionate regulation that delivers the best outcomes for consumers who are going to need access to credit, come what may. We will continue to work with legislators and the regulator to find the right balance between access and protection.